Shivam Dube is Mumbai based cricket and comes to the limelight after RCB spend a high amount on him. RCB bought him in 25 time more money than his base price. He is a 25 years old Mumbai based cricketer also known for five sixes in five balls. He is left-hand batsman and Right-arm medium bowler. 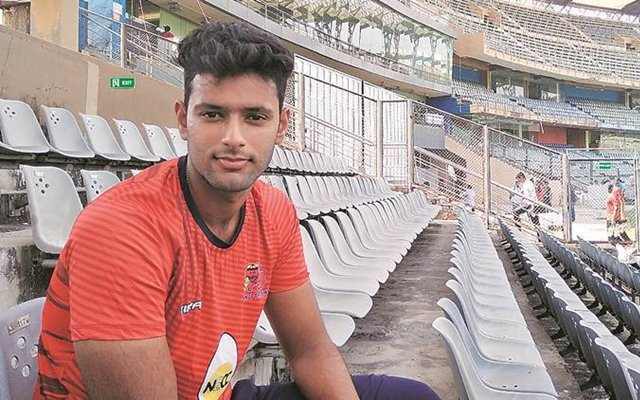 Now people are searching for IPL cricketer Shivam Dube age, wiki, biography, matches, family, and images. Rizvi Mumbai and Mumbai are the major team for this Maharashtra cricketer. Base price of this cricketer is just 20 lakh and Virat Kohli led Royal Challengers Bengaluru bought him in 5 crores rupees. He was sold in 25 times then hi reserve base price. In 2019 IPL, we will see playing Shivam Dubey along with Virat Kohli and team. It is avery big day for Shivam Dubey and his family. He is an all rounder cricketer from Mumbai. He is consistent player of Mumbai T20 league and domestic cricket. He played a major part in winning Mumbai’s Vijay Hazare Trophy. He also helped to win his school in under 14 cricket. He left the cricket for 5 years due to some personal reasons. In Mumbai T20 league he hit 5 sixes in Pravin Tambe’s over and in Ranji Trophy he did the same thing. RCB has welcome him on twitter and very excited after getting the player on his side. In school time he helped his school to win Giles Shield season as a part of under 14 team. In 2017 he made his First-class debut and list A debut. There is little information of the cricketer.